A celebration of holiday magic! 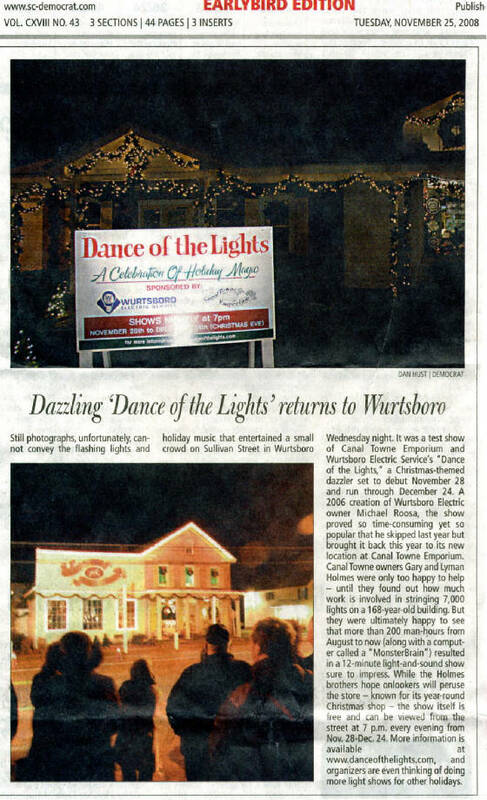 It's another year and another fantasic season of Dance of the Lights awaits your and your family! We're happy that so many people have made it an annual tradition to attend our show with their families. We hope that our show has helped to make the holiday a bit more magical for you. Be sure to join us for this year's show: Every evening from now until Christmas Eve at 7PM sharp in front of Canal Towne Emporium. 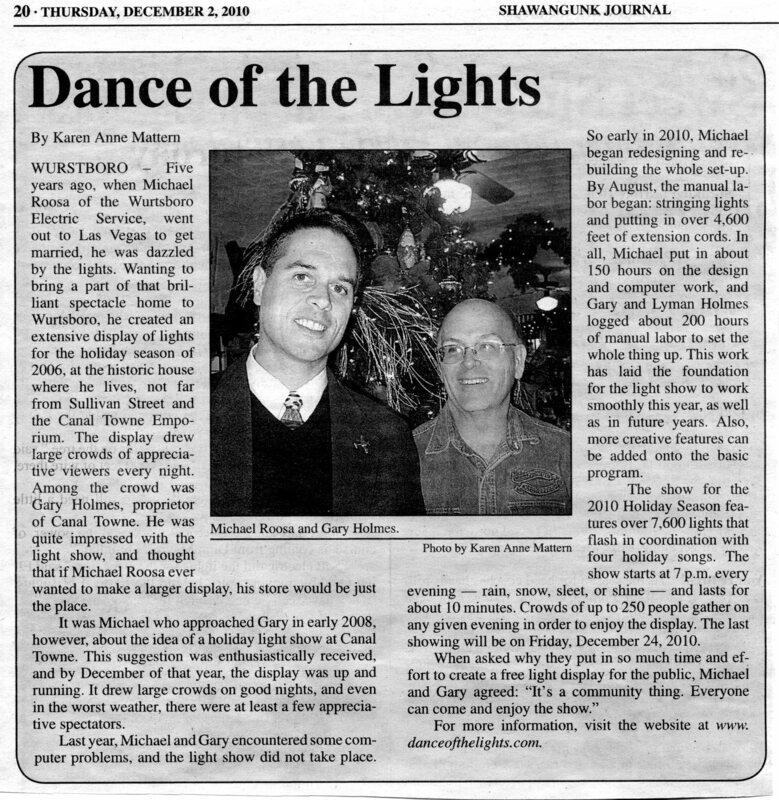 Dance of the Lights is a computerized holiday display of over 7,500 Christmas lights set in motion and synchronized with holiday music favorites! Canal Towne Emporium is located at 108 Sullivan Street in Wurtsboro.